This week the United States celebrated the Fourth of July: a day where people gather with friends and families, drinking Budweisers and eating hot dogs. In these spaces, many Americans discuss the country’s greatness, its independence. For others, these conversations around the grill take a more critical tone, with many wondering if, in fact, the United States has ever been great. This week’s episode reflects on the state of the country. Our own Zac Davis wrote “Donald Trump’s sins are our sins, too, and impeachment won’t absolve them,” which we discuss in conversation about American exceptionalism and more. For our interview segment we’ve got Danny Gustafson, a teacher at Fordham Prep in the Bronx, N.Y., and an editor at The Jesuit Post. We chat about the new survey released by the Vatican in anticipation of next year’s Synod 2018 on Young People, the Faith, and Vocational Discernment. The survey is “aimed at young people throughout the world from 16 to 29 years of age” and it is meant to provide young people “with the opportunity to communicate, express and recount who you are and what you want to say about yourself.” What does it mean to be a “young person” in the church? And how do you minister to the different age ranges within this demographic? We discuss this and more with Danny. And finally, in a special consolations-only segment, we tell you where we find hope in the United States. 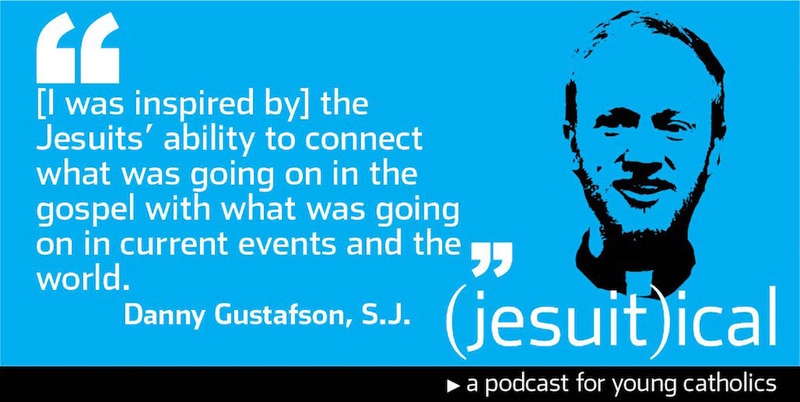 You can subscribe to Jesuitical on iTunes. While you’re there, please leave us a rating and review! Also, tell everyone you know about Jesuitical, from your friends and roommates to your eucharistic minister and your Twitter followers. And, as always, we want to hear from you. Leave us a comment or a consolation and/or desolation here, write us at jesuitical@americamedia.org or find us on Twitter @jesuiticalshow, @AshleyMcKinless, @OlgaMSegura and @zacdayvis.